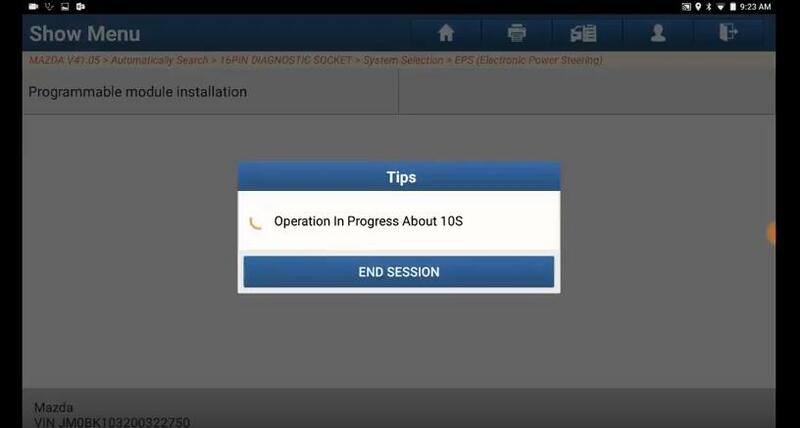 Follow below procedures to get the skill,and any problems to watch the video guide. 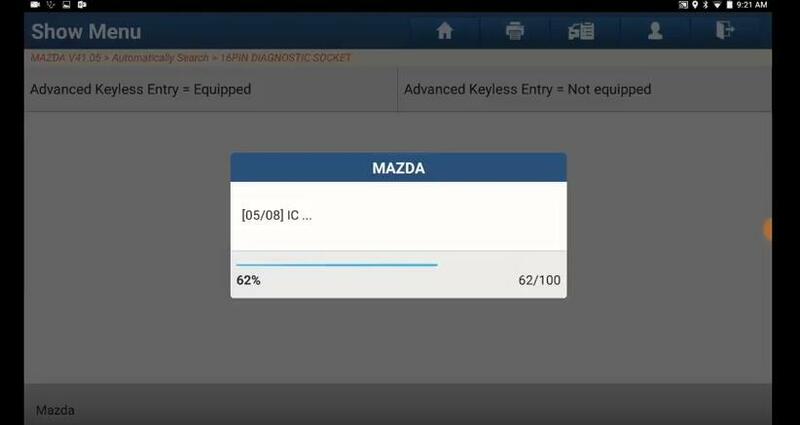 Note:The software can diagnose the electric control system of Mazda up 1990-2017,include PCM,TCM,ICM,ABS,RCM,GEM;read flash diagnostic code. If problems are found during the testing,please sent the vehicle code to the local service provider,we will solve your problems as soon as possible. 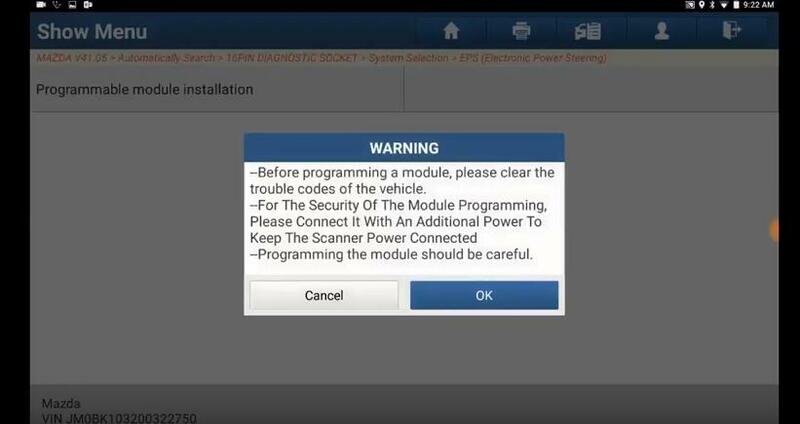 “Before programming a module,please clear the trouble codes of the vehicle. For the security of the module programming,please connect it with an additionoal power to keep the scanner power connected.